Replacement kitchen doors are a great way to give the most important room in your house a new lease of life - without a high cost. 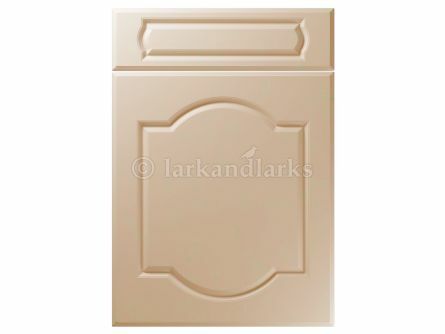 You'll be surprised at the difference a new kitchen door can make to the overall look and feel of your kitchen. 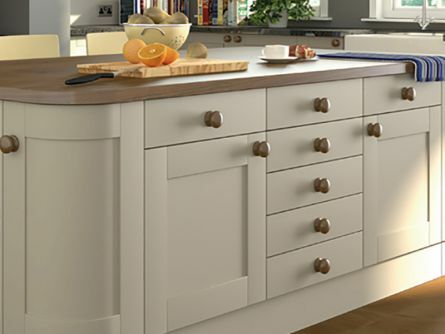 With various designs and styles available - from contemporary handleless and high gloss options to traditional woodgrain and shaker styles - you can go from modern to country chic in an instant. 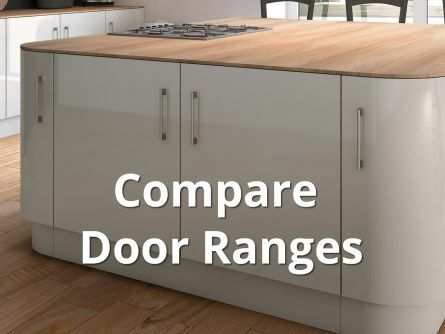 Our replacement kitchen door ranges come in both standard sizes and bespoke, made to measure designs, making it possible to update even the most awkward of spaces. Let's be honest; Unless your kitchen units and cupboard carcasses are damaged or falling apart, there is really no need to replace them. All you need is some replacement kitchen doors. You'll be surprised by how thoroughly new kitchen cabinet doors can transform the entire room without the need for any other form of DIY. 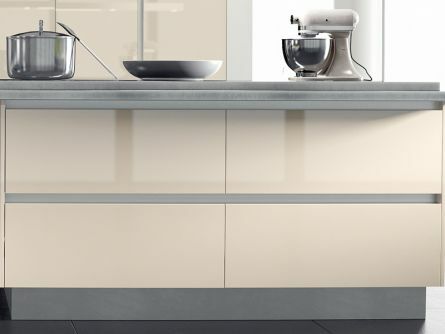 By changing the doors on both your wall and base units, you can breathe a new lease of life into a tired kitchen, and create a space that looks and feels brand new. 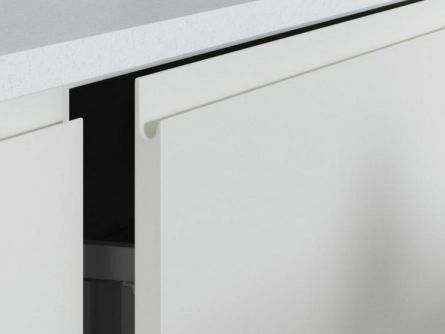 Many homeowners worry about replacing their kitchen doors and drawer fronts as they see it as quite a challenging process, but it's actually very simple. It's much quicker and easier than swapping out the entire kitchen, and cheaper than replacing your existing kitchen cabinets and units. In fact, the hardest part of replacing your kitchen cabinet doors is deciding what materials and designs to choose! 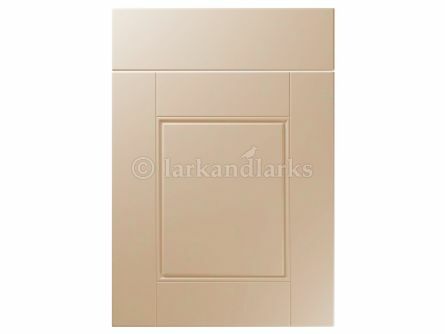 Made to measure - Kitchen doors can be made to measure; ideal if you're looking for a more bespoke design. Easy to install - Fitting your own kitchen doors is simple - all you have to do is attach hinges and screw the replacement door to the carcass. 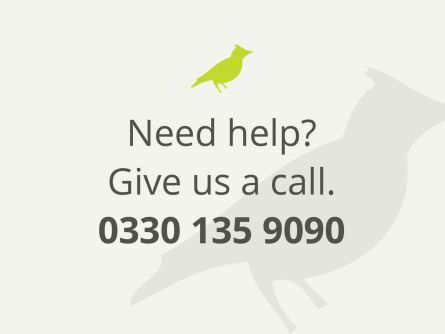 Cost effective - With kitchen doors starting from just £2.75, replacing your existing doors doesn't need to break the bank. High quality - Made in the UK and coming with a 6 year warranty, our kitchen doors are designed to stay at their best. Different materials are used to create kitchen cupboard doors, with each giving their own unique finish. Deciding on a material is the first step in choosing your new kitchen doors. 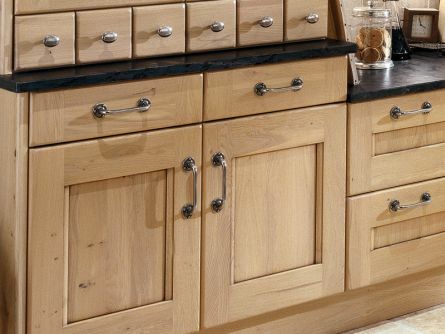 Remember to update your kitchen handles too, to breathe new life into your new look kitchen. Our range of vinyl-wrapped kitchen cupboard doors are perfect for a contemporary kitchen. 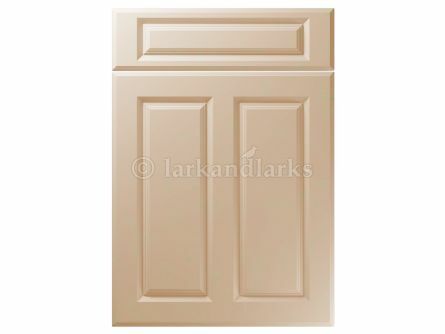 They are smooth and stylish, and - as the vinyl is wrapped all the way around the door - there's no unsightly joins to be seen anywhere. Acrylic finished cabinet doors are often a little more costly than vinyl-wrapped, but the material is much more durable and hard wearing. The material also has highly reflective qualities that can make kitchen doors almost like a shiny mirror surface. Wooden kitchen doors are often considered to be the epitome of beautiful, sophisticated farmhouse-style kitchens. 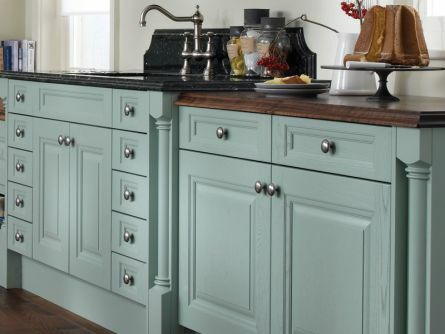 It's hard to beat solid wood kitchen doors if you're looking to create an old-time, traditional kitchen setting. Gloss cabinet doors are very popular at the moment, and have become a real fashion favourite. 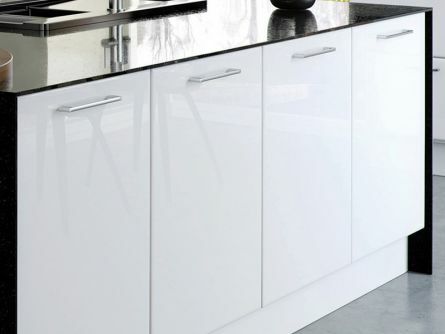 The beauty of gloss kitchen doors and drawer fronts is that they suit any kitchen and personality; black, white, and cream give a crisp and clean look, while bright and vibrant colours give a more fun and playful image.